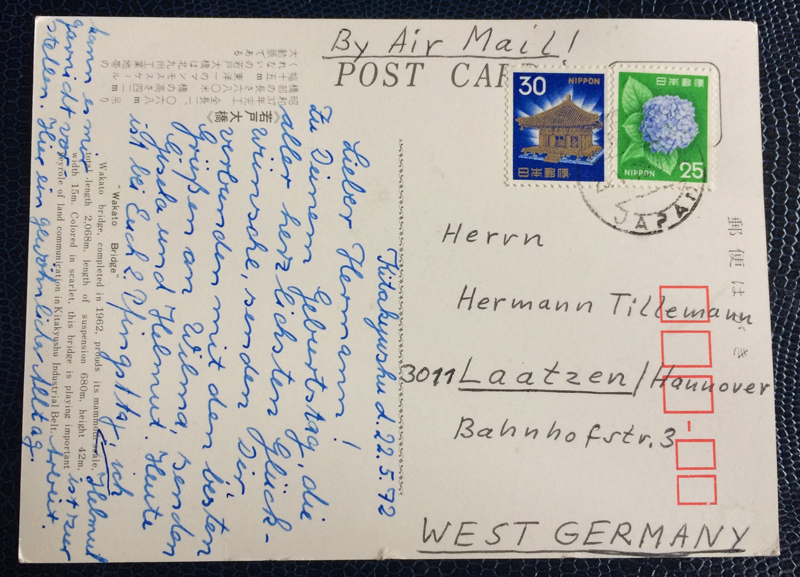 This postcard comes from Japan an shows the “Wakato Bridge”, completed in 1962. Length of suspension 680m, height 42m, width 15m. 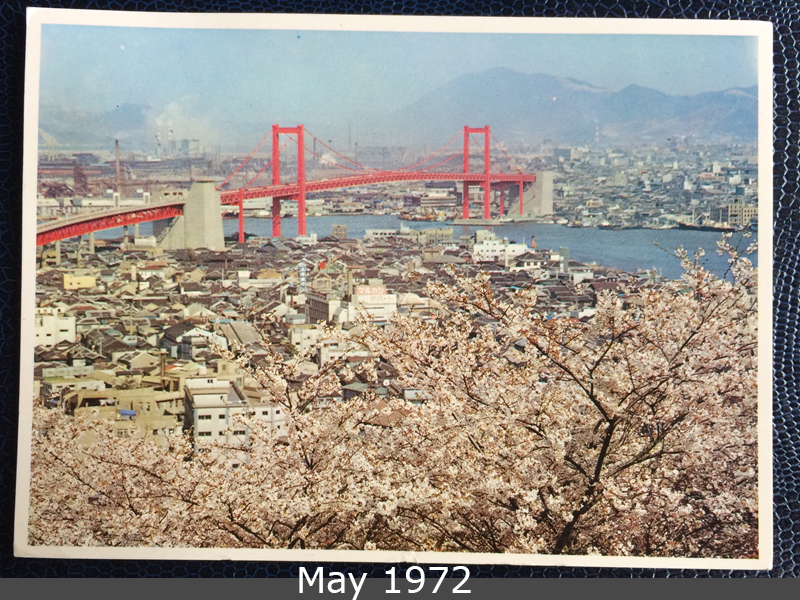 This bridge played an important role of land communication in Kitakyushu Industrial Belt.